Today’s travelers have more options and opportunities than ever before. New routes, new planes, new on-board traveler comforts, and updated loyalty benefits are all combining to drive continually increasing demand for air travel worldwide. With historic profitability across the industry, airlines are investing heavily in making the customer experience even better from the time of shopping and ticketing to the return trip home. 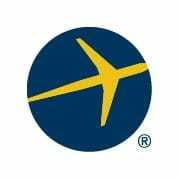 For the fourth year in a row, Expedia and the Airlines Reporting Corporation (ARC) have collaborated to complete a detailed analysis of the global air travel landscape. Download the ARC 2018 Air Travel Outlook Report here. This year’s report provides updates to past analysis, including the day-of-week with the lowest average ticket price (ATP); however the data scientists at ARC and Expedia went further in 2017, conducting a much more global travel trend analysis and taking a deeper look into corporate travel and premium travel around the world. The foundation for this report comes from ARC’s global air travel database that – in collaboration with the International Air Transport Association (IATA) – represents more than US$500 billion in annual global commerce from more than 400 airlines serving more than 3,600 airports around the world. By tapping into this database, the world’s single largest repository of passenger air travel, the experts at Expedia and ARC are able to provide unique insights and actionable data to drive traveler decisions and corporate travel policies going into 2018. A review of the most cost-effective day to buy air travel re-confirmed that the lowest ATP is generally found on Sunday for both economy and premium travel. Depending on the itinerary, business travelers departing on Friday may find a lower ATP. Savvy travelers might use these savings to stay a few extra days over the weekend. Expedia’s ability to combine hotel and air travel options into a single package may make this an even more attractive option to consider not only for leisure travelers, but also for road warriors traveling on business. Heading into 2018, all regions of the world show strong demand for travel. Whether you are traveling to a city nearby or across an ocean, the industry looks strong. London remains the largest gateway to Europe from the U.S.; however, several airports in Asia are establishing themselves as global powerhouses for travel to and from Asia. The data also revealed that Cancun is one of the most traveled-to destinations in Latin America. While it may not be an airport that comes to mind as one of the busiest, the number of holiday travelers from the U.S. makes Cancun larger than many of the business travel destinations in Latin America. With support of the Egencia team, this year’s report places more emphasis on corporate travel trends than in years past and some of the trends we identified may have impacts across the business travel universe. Business travelers are beginning to buy tickets further in advance as flights are filling more quickly to maximize travel budgets. Some travel managers are also starting to include these advance purchase changes into their policies. This year’s study provides several actionable insights for travel managers to help optimize their programs. Finally, this report includes a very detailed study of advance purchase trends and how they impact ATPs. Generally the “early is better” mantra holds true for most travel; however, that guideline may be different in markets around the world. The data scientists at ARC and Expedia have identified eight distinct patterns in the data regarding advance purchase. While the “deep slope—flat tail” model holds for most travel in the U.S., a very different “early flat—increasing tail” model is revealed in some markets outside of North America, such as Busan to Seoul, where a different strategy may be more advantages. Full details, along with which markets show specific behaviors, are included in this year’s report. In summary, the air travel industry continues to evolve and, while some things remain consistent year-over-year, new trends are appearing as well. Airlines around the world are investing more than ever to provide world-class experiences whether for holiday, business, economy, or premium travel. There’s never been a better time to take advantage of air travel and 2018 is looking to be a year filled with even more options and opportunities than ever before! This blog was written by Chuck Thackston, Managing Director of Data Science and Research for the Airlines Reporting Corporation (ARC).